Though in short supply, the Britains JCB toy series should be enough toy construction vehicles for use on your 1:32 scale building site. 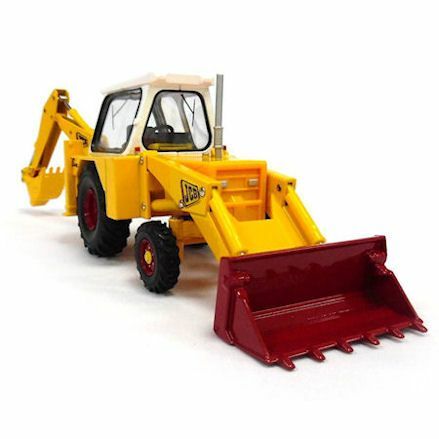 Officially licensed by JCB, these toy construction vehicles are all made in die-cast metal, have free-rolling wheels, well the main feature is always functional (i.e. front loader, excavator) and replica detail both inside and out. 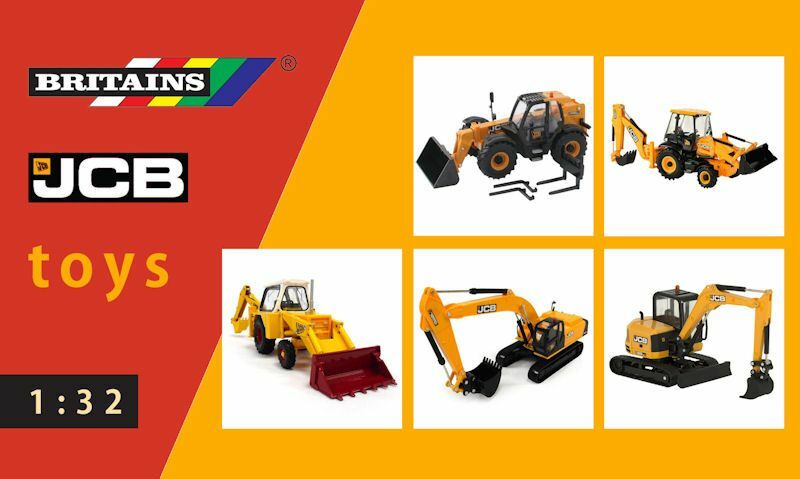 As of 2017, Britains JCB toys has five construction vehicles in their range, with a toy backhoes for loading and digging, excavators for digging holes only, and telehandlers - in plenty of supply - for use around the farm and construction site. 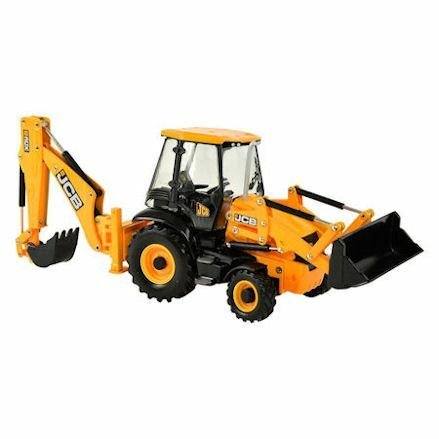 Only two toys digger currently available, but not limited to the Britains (42702) JCB 3CX Backhoe Loader in 1:32 scale. Use it as a stand alone vehicle on the building site, or on your farm as it will comes in handy for building work. Packed with functional parts and amazing replica details, it has an enclosed driver's cab detail, with a hydraulic piston raise and lower loader arm and pivoting bucket, and a rear situated excavator for digging holes. However, the Britains (42905) JCB 3C Mark III (pictured above) in 1:32 scale is a good digger when trying to replicate a classic building site scene, or use as a display model for collectors. This stunning Britains (43044) JCB JS330 Tracked Excavator is built to get the big jobs done on the building site. It has a powerful large excavator for digging deep, a 380 degree rotating cabin and a functioning arm with pivoting bucket. This is a big excavator in real life so won't be very useful for small jobs, but on big building sites when clearing land and setting foundations. This model will do the job, just make sure there's an awaiting lorry to load the mud onto. 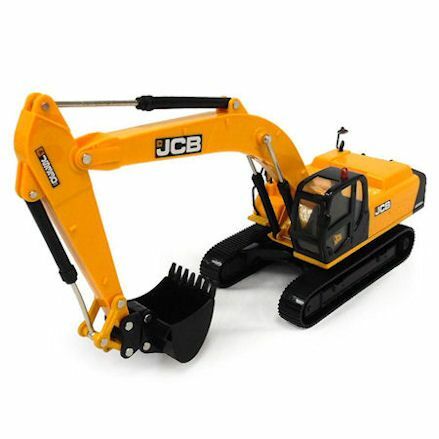 Likewise, the Britains (43013) JCB Midi Excavator 86C-1 (pictured above) in 1:32 scale is suited to smaller construction jobs, and building sites where size restruction applies. It has a fully functional excavator with bucket and tracked wheels. It's not the digger or loader that's the busiest vehicle on the site, but a telehandler - or telescopic handler - that does most of the leg work as a runaround. For big sites, it will collect and drop off pallets of bricks, sacks and machinery all day - well organising the supplies. But as a toy telehandler it works just as well, with manoeuvrable telescopic handler with interchangeable attachments and a pallet forks that is used the most in construction. It also has decal detail, the telescopic arm extends and raises and lowers, the removable bucket pivots, rolling wheels with tire tread detail. 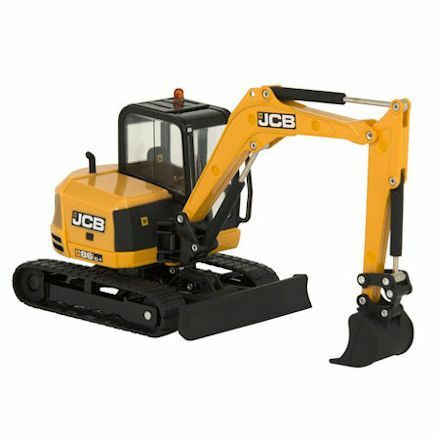 When buying Britains JCB toys are featured above, these models are made for children's play and are not collectable's. Although they can be bought for collecting but just to be clear, these models are all for play - for 3 years and up.